Daniel performed on show 347, recorded in October 2017, at age 14. 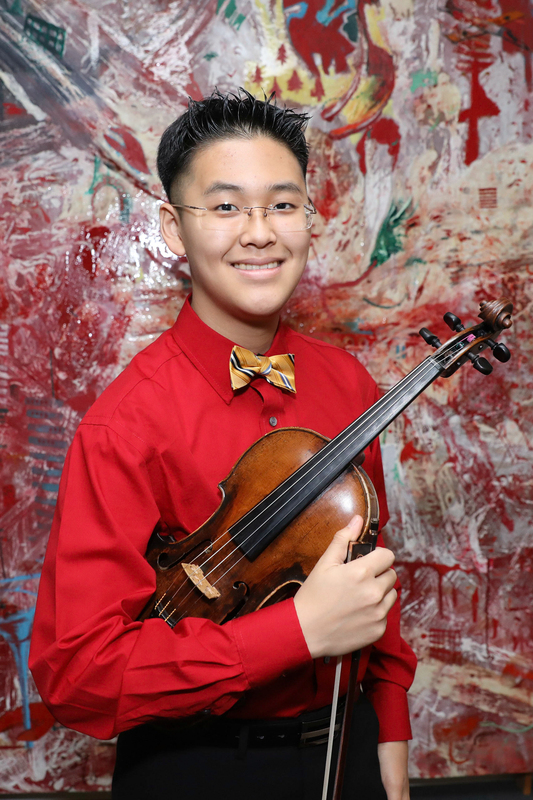 Daniel Bae (violin), 14, hails from Lubbock, Texas and is a ninth grader in the high school program of the IQ Academy California – Los Angeles. Daniel is a recipient of From the Top’s Jack Kent Cooke Young Artist Award. He is currently a student at the Colburn Music Academy in Los Angeles with Robert Lipsett. Previously, he studied violin with Annie Chalex Boyle, Emanuel Borok, and Adrian Walker. Daniel likes to share his music through non-traditional concert settings. He’s performed in local retirement homes and churches, as well as for underserved elementary school populations. Most recently, Daniel played the national anthem in a major league baseball game in Washington D.C., which was a fun and memorable experience. In his free time, Daniel enjoys swimming, playing video games, and reading the World War II fighter airplane history. Daniel is a Jack Kent Cooke Young Artist.